Seven years after the tragic death of her husband, Amelia (Essie Davis) is struggling to cope with life as a single mother to a child with severe behavioural problems. 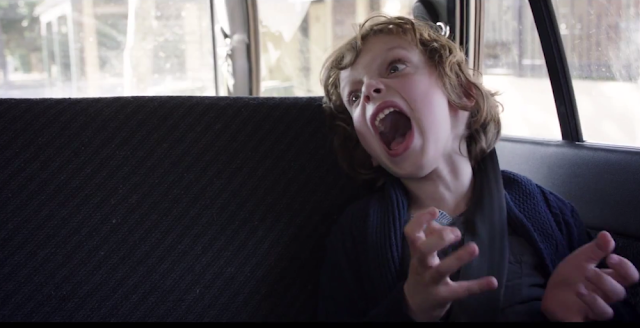 Son, Samuel (Noah Wiseman), is aggressive and suspended in his thoughts of story-time, magic tricks and monsters. When a mysterious and disturbing children's book appears on the shelf, Amelia battles with her son's fear of a monster, "The Babadook", lurking in the house but soon discovers a sinister presence hovering over her. Australian director and writer, Jennifer Kent, makes her first cinematic directorial debut with this chilling narrative with a refreshing take on the monstrous. The evolution of the monster in cinema is evidence through the decades. In the early 1920s, 30s and 40s and 50s, the monster was a phyically disfigured and visible monster which were a social and contextual study of the time. Frankstein, Wolfman and that creature from the Black Lagoon were all physical embodiments of the turmoil of the two World Wars, social anxieties of advancements in science and the breakdown of religion within modern society. Cut to the 1960s and 70s and, this time, the monster is morphing in to the supernatural and taking a more human-shaped form- that of Zombies, crazed motel owners and Satan himself. Advancing again in the 1990s and through the early 00's, the monster is a serial killer, more human still but always masked and this time in our own homes (removing the fantasy element from the genre). And then of course, here are now - in films such as Hostel (Eli Roth, 2005) and Saw VI (2010), we ourselves are the monstrous, unmasked and evil for the crimes we commit against humanity. 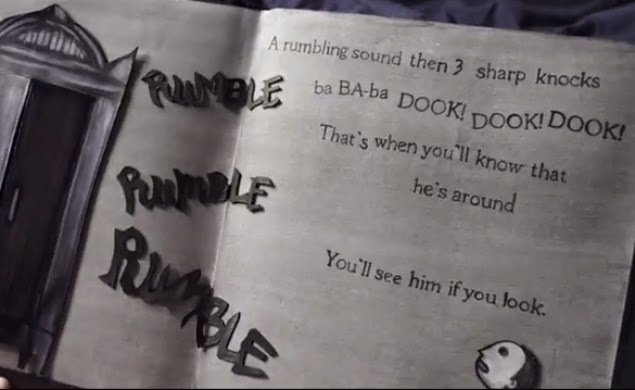 The Babadook presents a contemporary approach to this theory of the monster. In this case, the monster is both physical and mental through Amelia's visions and state of mind. Typical of all monster movies, we demand to see a revealing of a monster and we are granted this, gradually, but with the underlying themes of mental illness presented as a physical metaphor. Considered a taboo subject, arguably the horror genre is the ideal medium in which mental illness can be fully explored through the eyes of it's sufferer. Unable to move on following the violent death of her husband, whom died in a car accident while she was on the way to the hospital, Amelia's mind is plagued. The opening credits place the audience within a dream sequence, showing the tragic events which triggered Amelia's depression. Along with the stress of raising a troubled 7-year old boy - hell bent on demanding her every minute, building make shift death traps and is suspended from school. 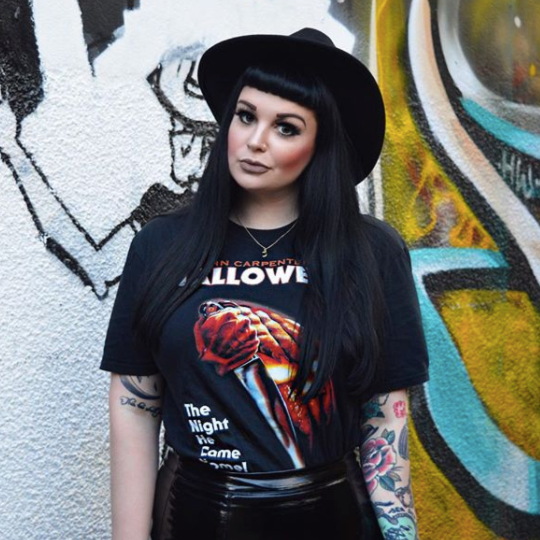 With the appearance of Mister Babadook, all her fears and anxieties are haunting her house in visible form that is utterly chilling for it's viewers. Gritty and dark - The Babadook displays excellent cinematography and mise-en-scene which mirrors that of the protagonist's state of mind throughout. In the beginning, Amelia is dressed for work as a nurse in a pink and pure uniform which symbolises her child-like state and naivety. As the narrative unfolds, her character becomes more powerful and this is mirrored in her on screen presence. Each detail and shot appears to have depth and to be carefully constructed which makes it most enjoyable and engaging for the spectator. In some ways, it felt that the narrative slowed half way through, trying to reinforce it's aim to build up to a scare. Although it came be argued that this was necessarily in building suspense, it felt to have drifted but only then to assert itself back on track for a tremendous finale. Paired with a stimulating narrative, moments that will make your heart pound in suspense and visually remarkable cinematography, The Babadook is one of the strongest and effective horrors in recent years featuring a brilliantly designed monster. Essie Davis and Noah Wiseman (as Samuel) are sensational in their performances and have no doubt that this will break in his career in to a long standing career in Hollywood film. The Babadook gets a Sophie star rating of 4 out of 5 stars. A must-see for Horror fans. "If it's in a word or in a look, you can't get rid of the Babadook..."
Having completed a dissertation on the monster in horror genre (mainly the contextual study of the zombie), horrors are so much fun for me to review! It appears that my blog is flooded with film reviews at the moment and not a lot of 'glitter'. I promise to get some more outfits up when the weather is better as I have some new treats I'm dying to share with you all. With Oscar season slowly approaching, there's a whole huge list of films I'm dying to see! I've managed to tick quite a few off and so will be reviewing more and more as we near February so for you few non-film fans, thanks for your patience. But also - who doesn't like films? If you liked this film or my review, you can also see my review of a simular New Zealand horror I viewed at fright fest - Black comedy, Housebound review HERE. I watched it and I'll admit that I was little disappointed that it wasn't the typical horror style that I'm used to but I think that it's such a clever story line with an ominous feel all the way through and it is worth a watch for sure!